Ian Birnam discusses tracks from Travis Barker's latest album. There have been many attempts at fusing hip-hop/rap and rock over the years. These fusions, with the exceptions of legends like Rage Against the Machine, normally result in a band that has a slight edge over the atrocity that is Limp Bizkit. Thankfully, recent fusions have been significantly more successful: Such is the case with Travis Barker's debut solo album, Give the Drummer Some. The key to successfully fusing these two sounds is to keep the formula 60/40. 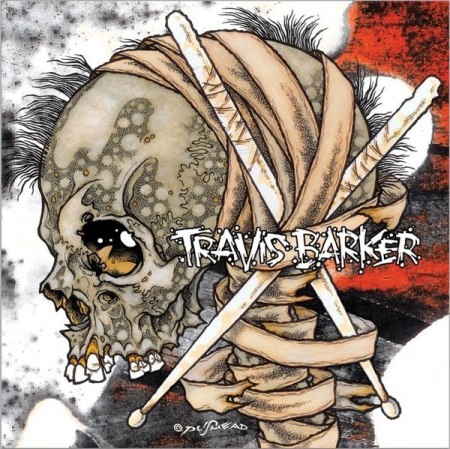 In this case, the album is mostly a collection of hip-hop/rap songs that feature Barker on drums with guitar providing only a subtle backing to the flow of the rhymes. Barker's rhythm and timing can compete with any drum machine made by a DJ. He stays on top of the beat, but still keeps the focus on the rappers/emcees' rhymes and delivery. Barker definitely appears to be in his element here, more so than during his time with blink-182. Every clang on the crash cymbal, knock on the kick-drum or snap of the snare never feels over the top or out of place; Barker stays within his boundaries, but still manages to supplement the delivery of the lyrics to make them even crisper. With a new set of guests on each track, there's something here for any hip-hop/rap enthusiast. If you're a fan of any of these artists and want to hear them do something new, or would like to hear how rock and hip-hop/rap can be properly brought together, Barker has created an album that will hopefully inspire other artists to get out of their comfort zones and experiment with combining different genres.